A couple of nights ago, my wife and I arrived in San Diego to visit our family and friends on the West coast. On Friday I finished my last day of Greek class and hopped on a plane. While we’re out here, there’s a variety of activities... a polarity, actually. Aside from having two baby showers over the next few days, we also had one funeral/memorial service. My Grandma, Peal Hastings, who I affectionately knew as ‘Nanny’ died a few weeks ago, just before her 93rd birthday. Nanny lived with my parents for as long as I knew her. She moved in with my mom in order to help raise my brother and me. She was always there, helping us, teaching us, basically doing our chores for us... she would hardly let us fold our own laundry... I remember my step-dad used to get frustrated with her for that. 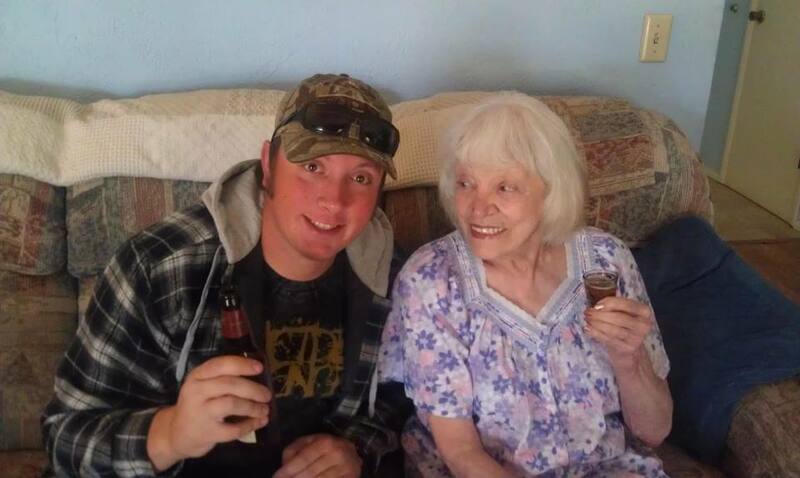 She loved us immensely, and she served my brother and me for as long as she was able. As many of us do, my grandmother had a complicated relationship with the Bible. I knew her to say things like, “the bible just goes too far sometimes.” For most of her life, she had some serious apprehension about the Bible and about faith in general. She had a tragically difficult childhood, spending various amounts of times in Catholic orphanages. She was never sure what do to with her faith. Looking back, I can admire Nanny’s struggle with faith. She showed me that doubt is sometimes the most honest approach and that reverence is sometimes overrated. In the final months of her life, Nanny was introduced to some translations of scripture that were somewhat easier to understand (like The Message and the New Living Translation). As her final days drew nearer, she found peace in her struggle through scripture, particularly through those passages which spoke of God’s forgiveness. She would listen to the scriptures as they were read to her and in those moments she found her comfort. At the memorial service yesterday, I read some of those passages by which she was most comforted. I thought I might simply list them here. But people are counted as righteous, not because of their work, but because of their faith in God who forgives sinners (Romans 4:5).